File A professor talks to students during classes at Manchester University’s College of Pharmacy on opening day in 2012. Background: My undergraduate degree is in French and English secondary education, and I have a Master's of Education in curriculum and instruction. I taught French and English for six years at Churubusco High School, but then went into corporate training, first at Waterfield Mortgage Co. and then at Medical Protective. I got back into education when I was hired as the instructional designer at the University of Saint Francis. I have been at Manchester University, serving the Pharmacy and Pharmacogenomics faculty, since March 2016. She's not in the classroom teaching. She's not crafting daily lesson plans. And yet Melissa Rasmussen plays an integral role in student learning at Manchester University's College of Pharmacy. A former self-employed tutor and former French and English teacher at Churubusco High School, Rasmussen now helps guide peer evaluation of instructors at Manchester's local college. She works with faculty – the pharmacy college has about 30 – to plan and implement courses. She researches teaching approaches and methods to help share best practices. This comes after also working in the corporate world for some high-profile companies. “I was missing true education,” Rasmussen said. 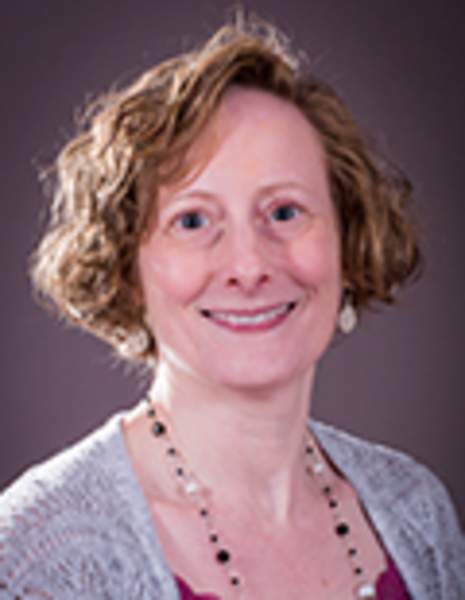 While evaluating where she could use her skills, Rasmussen said she saw an ad several years ago in a Sunday edition of The Journal Gazette for a job at the University of Saint Francis. She landed the job and made her shift back to academia. Her initial interest in education stems from a “really funny, snarky English teacher” in high school. “I said, 'Hey, I can do that,'” Rasmussen recalls. With the peer evaluation process at the pharmacy college, Rasmussen and another staff member go into the classroom to observe faculty members teaching. She describes the process as “very conversational,” allowing dialogue about the most effective ways for reaching students and learning material. A post-observation meeting also allows the instructor to reflect on how the teaching session went and what they might do differently in the future. Rasmussen said there is no score given, but the evaluation can help faculty develop goals and improve their teaching. One challenge in her job, Rasmussen said, is getting the one-on-one time with faculty to walk through their courses and help them improve. Although her position and responsibility might seem intimidating, Rasmussen believes it's embraced. During one transition involving the position, Rasmussen said there was some discussion about whether it was needed, and the faculty agreed it was. 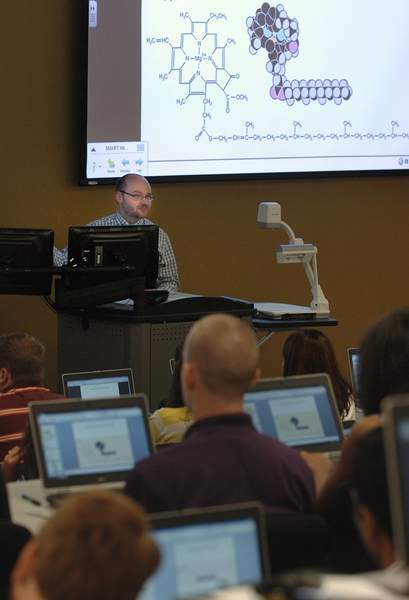 The pharmacy college opened in 2012, and in 2015, Manchester announced it was offering the nation's first master's degree in pharmacogenomics at its Fort Wayne campus. The university, based in North Manchester, considers the program a transformative field of medicine. Rasmussen said pharmacogenomics helps discover how a person's genetics and DNA metabolize different drugs. If a painkiller, for example, doesn't reduce pain, it may be that the body is not processing the drug. Pharmacogenomics allows for “precision medicine,” she said. An online program at Manchester has also been developed for pharmacogenomics, and Rasmussen said she helped create the template and some videos for it. Rasmussen's goals include more direct interaction with individual faculty and reviewing courses from start to finish to help determine whether the activities, case studies and general curriculum are the best. She also would like to develop an online teaching resource where faculty could glean information about different instruction methods. She thinks she's found her sweet spot in the education field.